Custom Lawn Care are a lawn care service based in Lincolnshire. 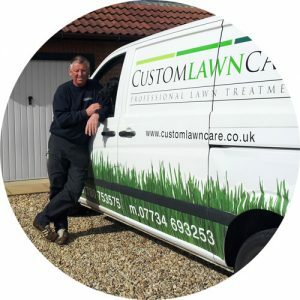 In the last 10 years Custom Lawn Care has grown from a small local business into one of the most successful independent lawn treatment companies in Lincolnshire. With over 18 years experience, we specialise in a wide variety of professional lawn care services, including fertilisation, weed control, scarification, aeration and more. We pride ourselves on a wealth of experience and a strong reputation built up over the best part of two decades, steadily growing our company through repeat business and customer referrals. We’ve built a very solid foundation as an independent company. Now with increasing customer demand for our services and repeat enquiries from counties currently outside our travel jurisdiction, we are looking to develop and expand our franchise network. With the aim to make our high quality service more available to everyone. Please visit our franchise opportunities page if you are interested.